Birth date and place c. 1818 Abbey, St Albans, Hertfordshire. 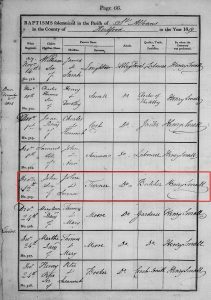 Baptism date and place 12 Dec 1819 Abbey Parish, St Albans, Hertfordshire. Physical Description Height: 5 ft. 7 ins. Complexion: dark. Eyes: hazel. Hair: dark brown (later grey). 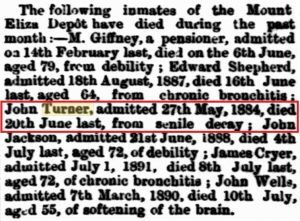 Death date and place 20 Jun 1891 Mt Eliza Depot, Perth, Western Australia (tentative). Cause of Death: Senile Decay. Burial date and place June 1891 East Perth Cemetery, Western Australia (tentative). Death Notices and Obituaries Inquirer & Commercial News 15 Jul 1891. 71st (Highland Light Infantry) Regiment. Regiment No. and Rank #1101 (70th). #2099 (71st) Private. 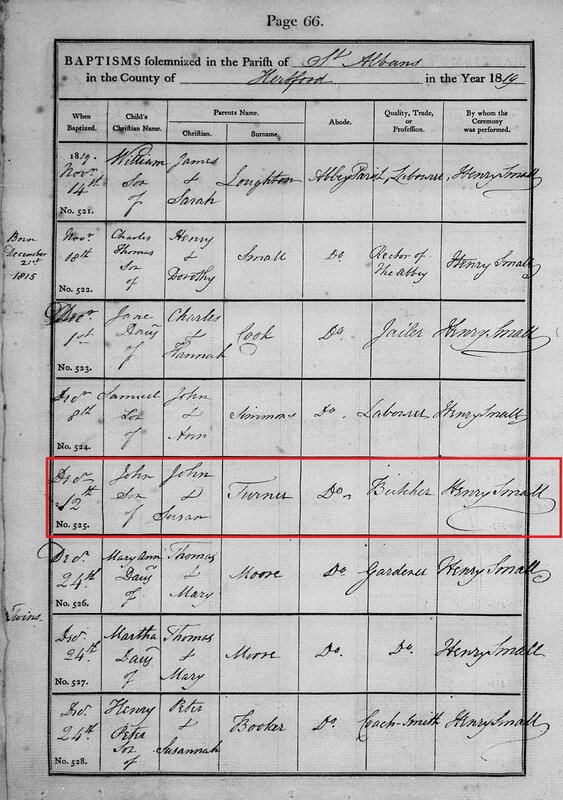 Anomaly 26 Jan 1837 Watford, Hertfordshire (page 2 Attestation and Discharge documents). 19 Nov 1837 Watford, Hertfordshire (page 1 Discharge documents). Service/Campaigns West Indies 2 years 5 months. Canada 2 years 6 months. West Indies 3 years 2 months. Corfu 1 year 10 months. Crimea 1 year 4 months. Musters 1841 West Indies & La Prairie, Canada [WO12-7812]. Promotions Private to Corporal 11 May 1846. 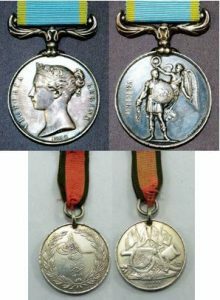 Corporal to Sergeant 3 Sep 1847. Sergeant to Private 4 Feb 1848. Private to Corporal 4 Feb 1854. Corporal to Sergeant 20 Apr 1858. Casualty/Medical Has suffered with Chronic Rheumatism for the past 12 months. Unfit for the service [Chatham August 11th 1858]. 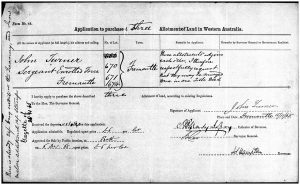 Regimental Courts Martial 71st Foot: Tried & Reduced from Sergeant to Private on 4 Feb 1848 – offence unknown. District Court Martial 70th Foot: In confinement & tried 14 Oct to 16 Nov 1841 for unsoldier-like conduct when on the Regimental Guard at La Prairie, Canada. 1st In quitting the Guard Road under a false plea of a call of nature, and about the time set forth, going into the Cook House and there and then having taken of his accoutrements, the same being contrary to orders and subversive of Military Discipline. 2nd For that he in company with Private Thomas Anderson 70th Regiment about the time specified in the first [no further record]. 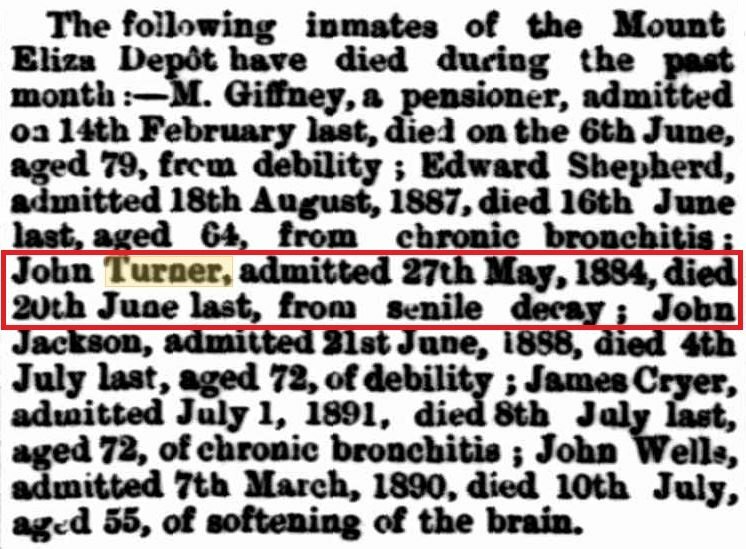 Discharge date and place 7 Sep 1858 Chatham. Length of Service 21 years 191 days. Post Discharge Pension District 2nd Belfast (1858). Pension Amount 1/5½d. per diem. 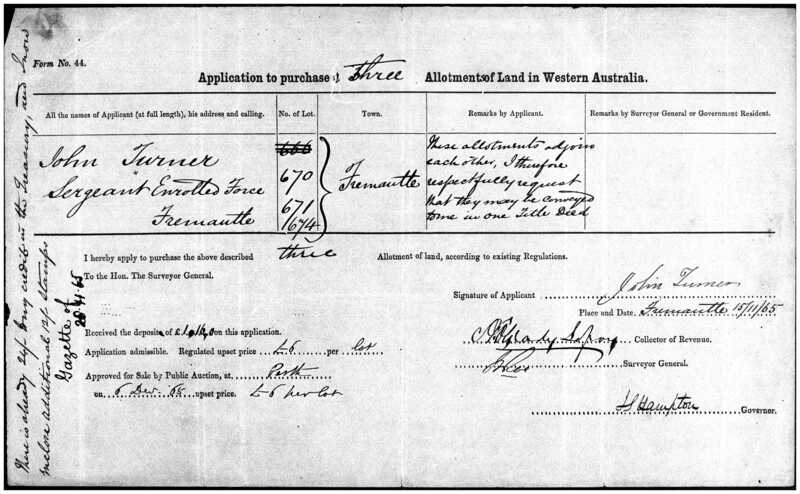 Land Grant/Purchase 6 Dec 1865 Fremantle Lots 670, 671, 674, £6 per lot (purchase).